Zong Pakistan bring all the Zong Call Packages for its prepaid customers on hourly, daily, weekly, fortnightly and monthly basis. All these Zong Call Packages are on low rates with more no.of minutes and Internet of data. Now you can get all the Zong Call Packages from here with price, subscription code, terms & conditions and validity details. All these Zong Call Packages are only for Zong prepaid customers. 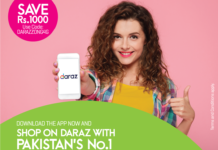 They can get hourly, daily, weekly, fortnightly and monthly basis Zong Call Packages to keep connect with their love ones. With Shandaar offer, make unlimited calls to all Zong numbers, send 800 SMS to all local mobile networks and browse 50 MB Mobile Internet – all this at Rs. 10 per day. Zong introduces a one of its kind bundle with great volumes at affordable prices. Now Zong customers can enjoy more calling minutes, SMS and high speed internet. Dial *1000# or visit the nearest Zong retailer. You can also send “sub Mahana” to 7091 to subscribe to Shandaar Mahana offer.